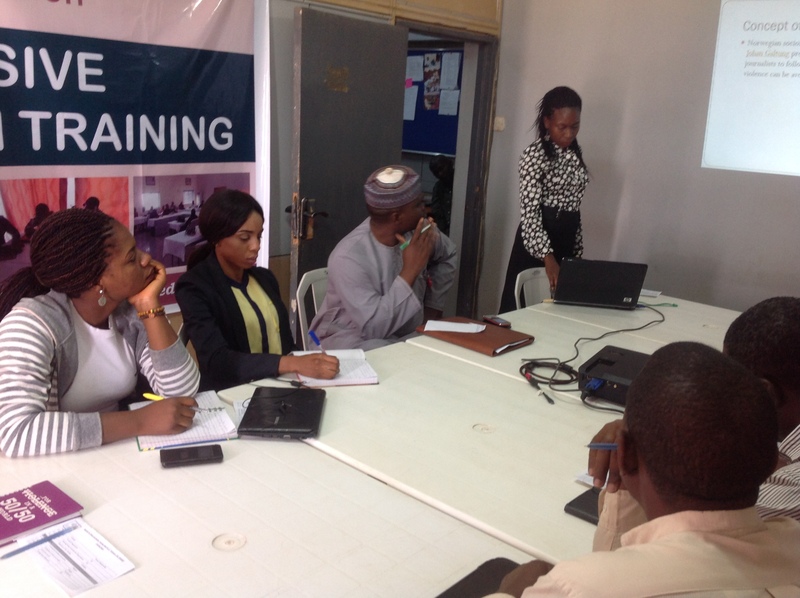 In line with its mission to provide professional support to journalists and the media, Africa Media Development Foundation (AMDF) on Tuesday 21st February trained some Kaduna based journalists on peace journalism. The training which took place at AMDF training room in Kaduna North West Nigeria enjoined journalists to shun sensationalizing conflict or violence stories but frame their stories to give peace a chance. The objective of the training was to build the capacity of journalists in reporting conflict issues and peace processes. The Coordinator of AMDF Sekyen Dadik noted that the role of the media in peace building cannot be over- emphasized largely due to its influence on the general public and policy makers. However, the media has over the years been so absolved in sensationalizing conflict and violence in a bid to reveal the worst hit or the disadvantaged group. This stance has made journalists to ignore reporting constructive issues that involve finding solutions in conflict situations and peace process undertaken by different quarters to promote peaceful coexistence. Hence, peace journalism training seeks to remind us that there are alternatives to reporting conflict /violence and provides a new road map tracing the connections between journalists; their sources, the stories they cover and the consequences of their reporting. Some of the participants shared their experiences on peace journalism and challenges they have encountered. As they promised to put all they have learned to practise in their different medium.